Christmas will be here in no time and I'm honored to report that after the great success we had at La Scuola di Eataly in NYC in the Spring of 2013, we have been asked to teach another Cooking Class for Christmas!!! WOW... Christmas is my favorite time of the year and in NYC Christmas is just magical. 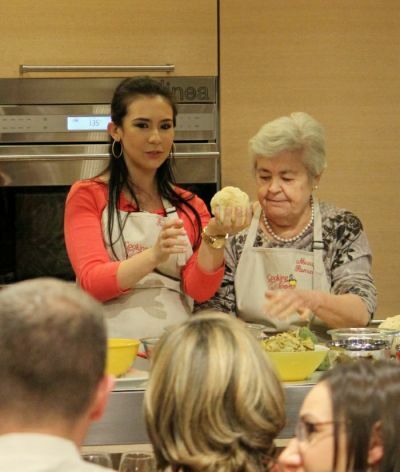 So, on December 14, 2013, together with my Nonna Romana we will demonstrate to you, and you will be doing the eating, some of the traditional Christmas dishes from Puglia that we make at Christmas at our home. Don't wait... Join us for a traditional Pugliese Christmas Dinner! Space is very limited... Register NOW! Nonna's Wedding Cake which was featured on our Food Network Show!